This week we had lots of fun! End of the year is close so I am trying to make things as fun as possible as everyone is tired at this point of the year. 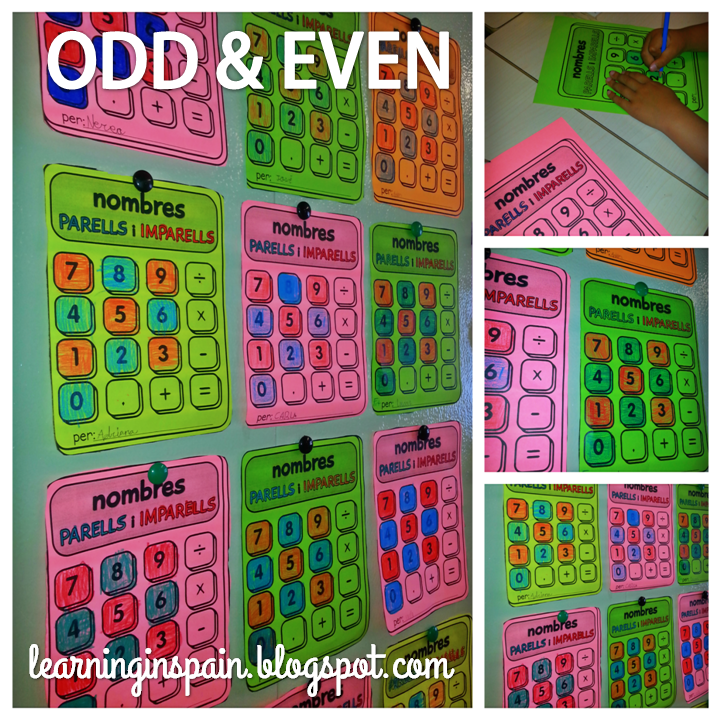 We started learning about Odd and Even with our calculators mini posters. Get them free! Then we could move on with the practice! 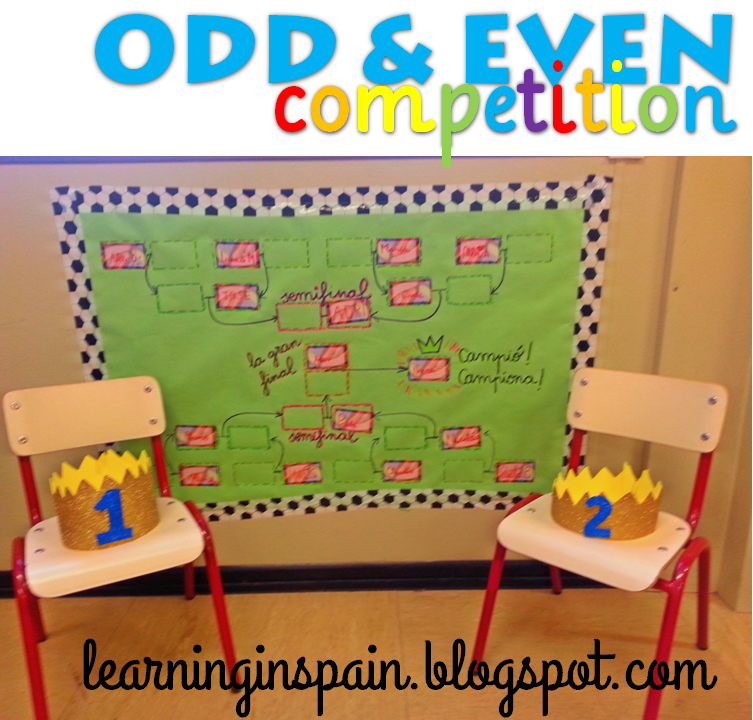 One player chooses Odd and the other Even. 1, 2, 3…. PARES o NONES? 1, 2, 3…. ODD or EVEN? 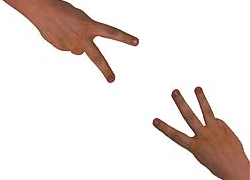 And both students show a hand with the number that they choose. In our case the referee determines the winner and he or she moves to the next ‘match’. We have a Champion 1 and a Champion 2 so both final players take the crown home that day. 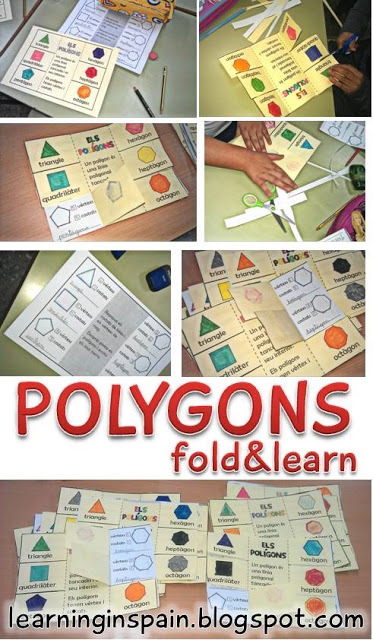 This game is very popular in my first grade classroom. They play on their own and the crowns go home almost every day. 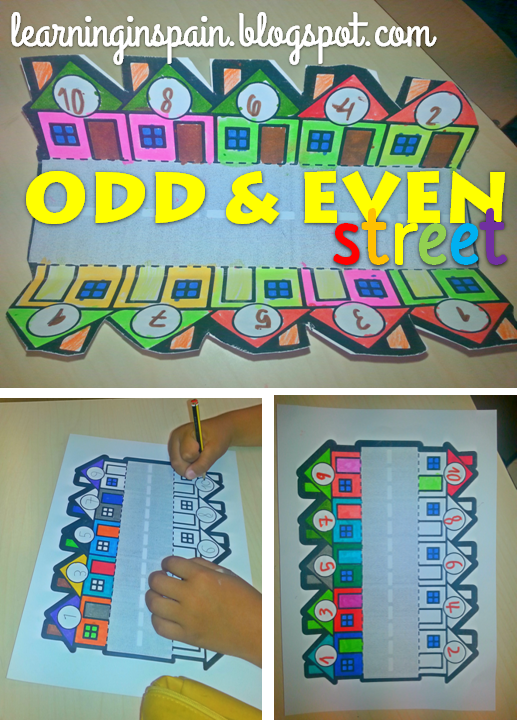 We did a number dictation and put them in order while talking about houses in real streets. 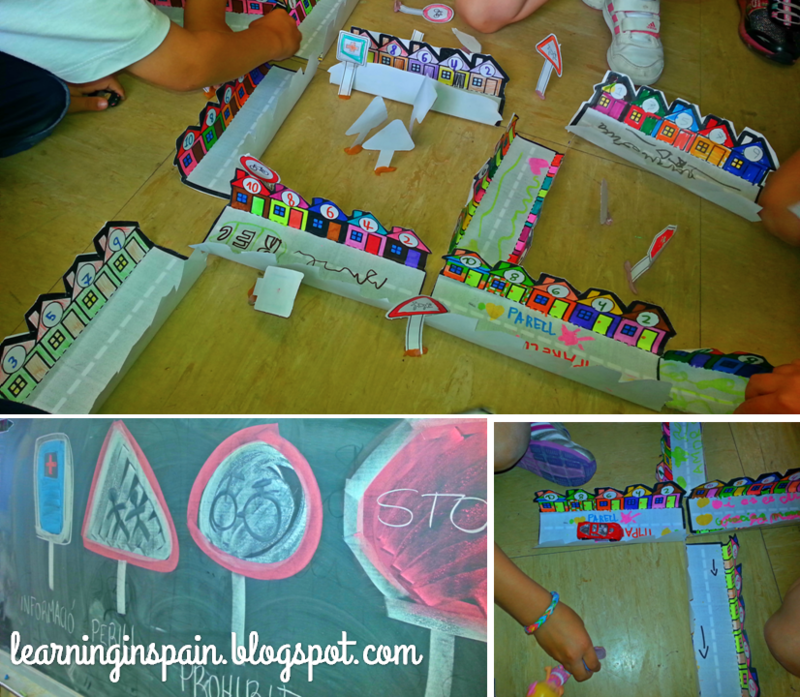 We did this little foldable streets and had fun playing with them creating our city with traffic signals and little cars. If you like it visit my TPT store. Another good week in our classroom. We had Open House so a lots of projects were going on. 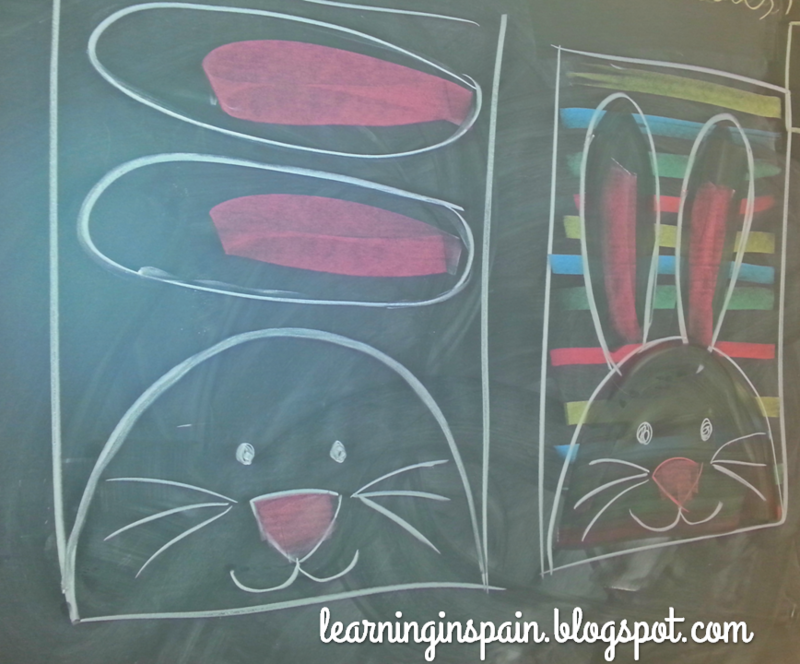 We drew Easter bunnies and introduced addition with regrouping. My students understood the regrouping concept very fast so I moved on with the practice. 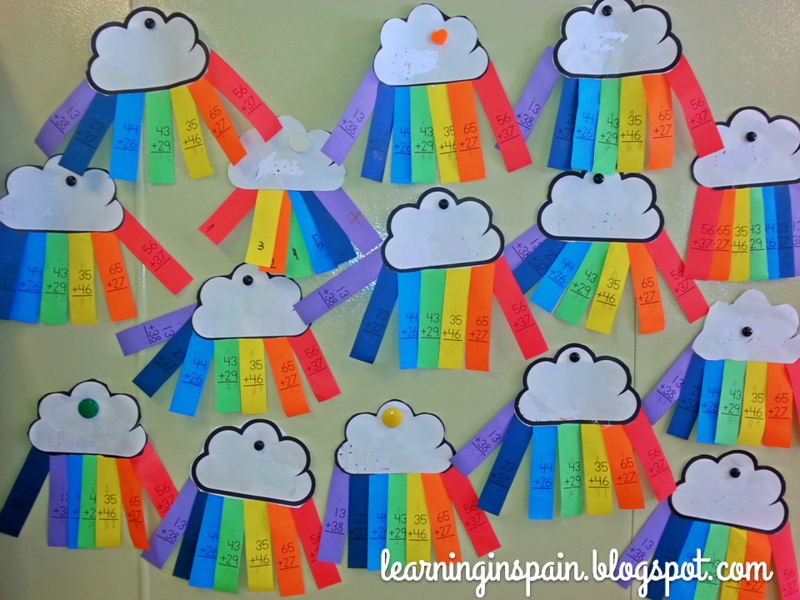 We used these colorful rainbows to review at the end of the week and they loved them. 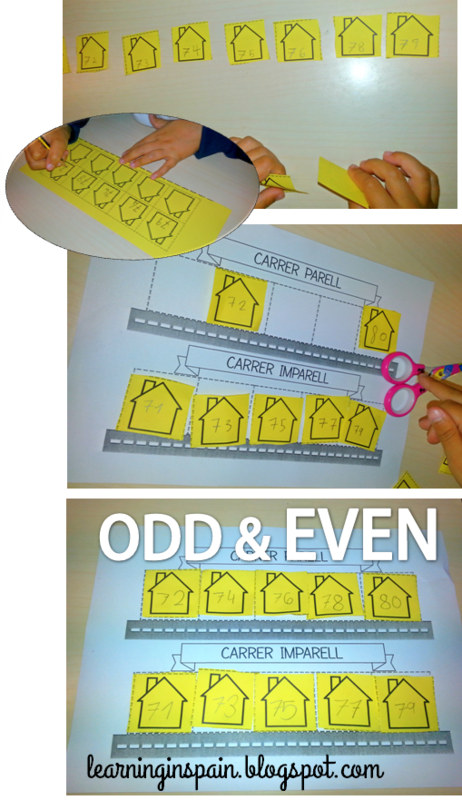 Each student got 7 paper strips. 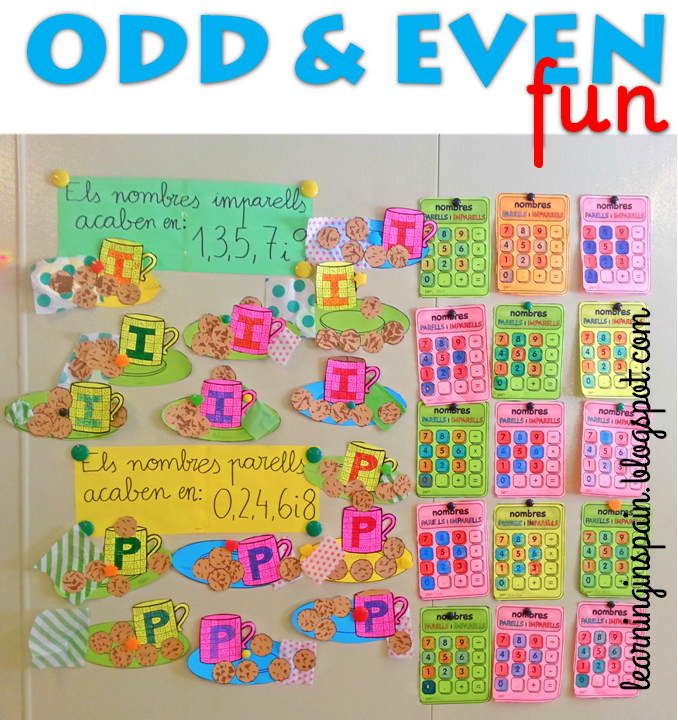 Once the addition is solved they out them in order from greatest to least. You will notice that I have “cleaned” the clouds because they had written their names. But they looked colorful as they used markers and trace each letter with a different color. 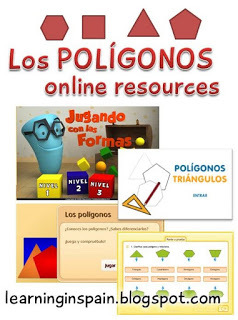 If you want to use the activity click –HERE– to download it. 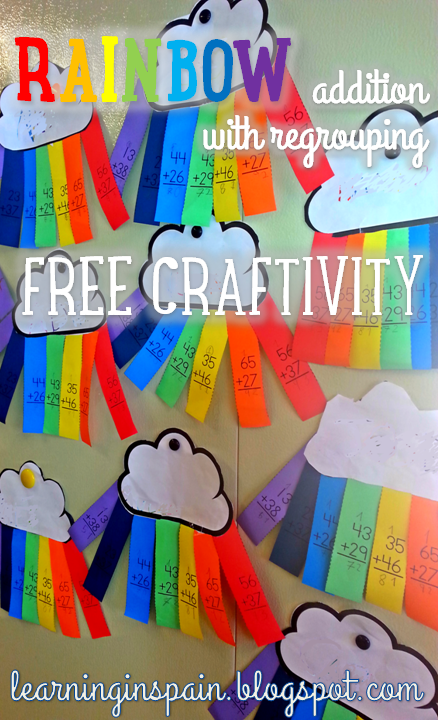 Print each page on a different color. Each page has 5 addition lines. So if you had 15 students, I know I am too lucky, you would need to print each color page just 3 times. And then one cloud for each kid. We also did our Easter bunnies. This year I went with a super easy pattern. After mixing the colors they drew straight horizontal lines on a paper (see picture in the beginning of the post). Then I drew on the blackboard the steps and they created the masterpieces on their own. 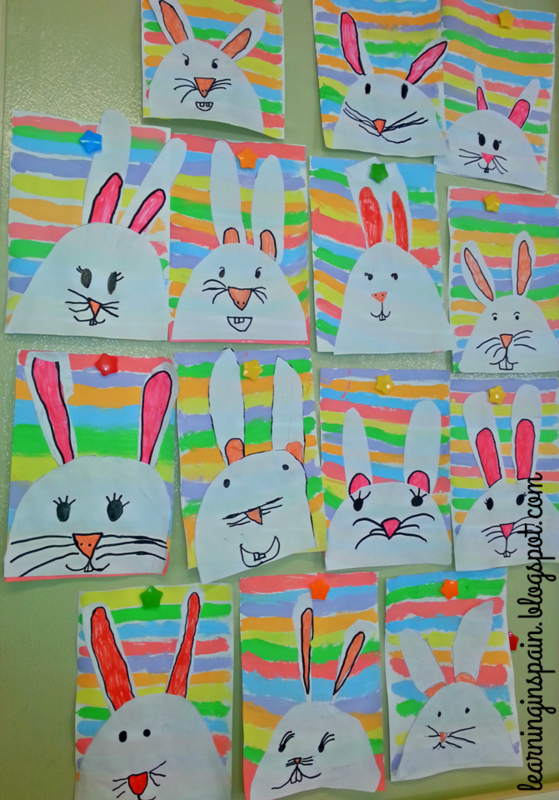 Check other Easter bunnies from last year or where I got the pinspiration Pinterest bunny.